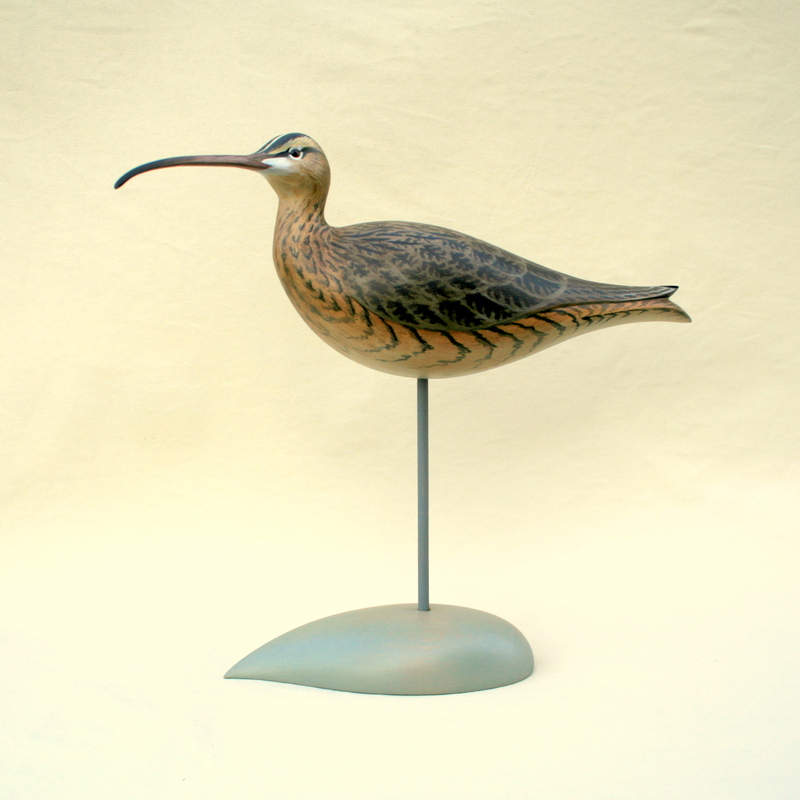 Whimbrel are big shorebirds. 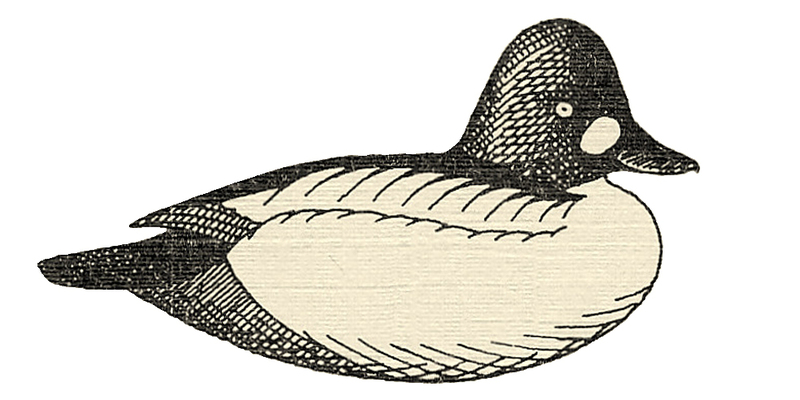 In flight, one thinks of a duck before one thinks of a sandpiper. 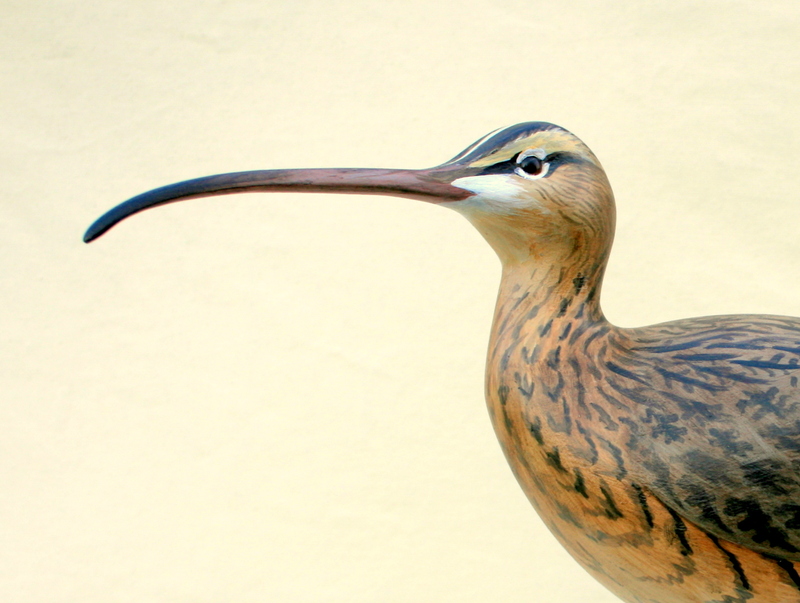 I carved this bird in the spirit of traditional “stick up” shorebird decoys – and even used the split-tail motif where the wingtips and tail curve away from each other. One thing new – at least for me – is the free-form base. 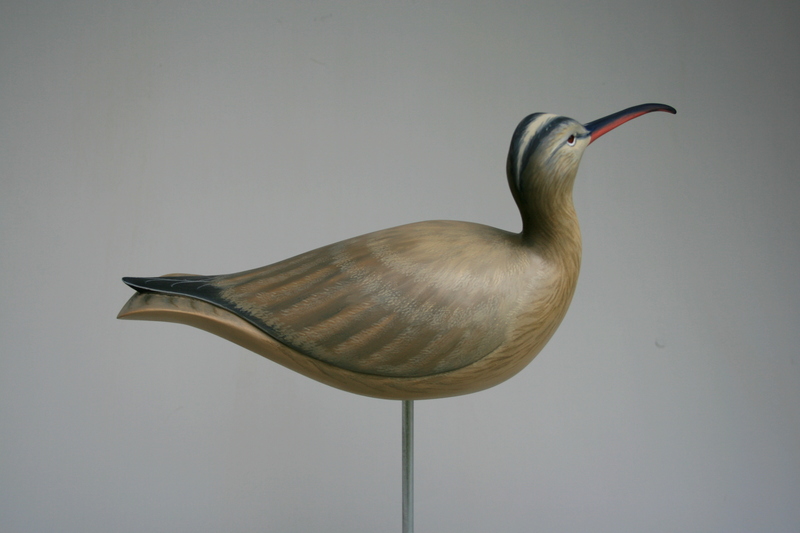 Whereas most shorebirds are mounted on either a piece of driftwood or a very formal base – the latter some regular geometric shape machined and finished to a fare-thee-well – I have tried something more organic. The shape is not random. It includes my usual fair curves and demands close attention while carving. But, its freer form – and its hue – are intended to evoke either wavelets or wind-tossed grass – the places where one finds Whimbrels. That bill, of course, is fun to carve. As I do with other long, delicate and curved shapes, I use a piece of Hickory to provide strength. I saw the wood from the limb of a Shagbark Hickory – a limb that grew to the same shape as the Whimbrel’s bill. I mortise into the head and then very carefully shape it. Hickory being one of our tougher woods, the knife knows it is not in White Pine or Basswood. 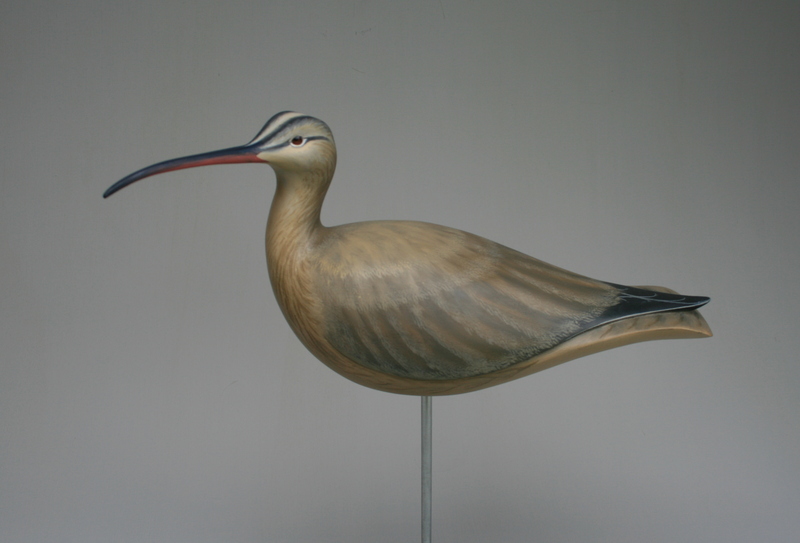 Here is another Whimbrel carved to the same pattern. The paint is a bit different. I strove more a more traditional, “gunning style” effect. I have been working more and more with oils and am developing new ways to achieve different effects. I have found myself using techniques I have long used with acrylics and – before that – with watercolors. I enjoy viewing this bird from all angles. The perspective from over the back evokes a wistful feeling – at least to my eye. I have already sawn out the next Whimbrel – and I have a feeling there will be numerous progeny over the years.